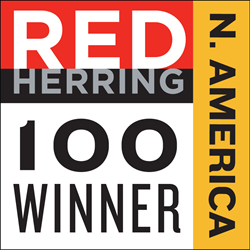 Simpplr, a leader in helping organizations connect and engage their employees, has won a 2018 Red Herring Top 100 North America award, recognizing the continent’s most exciting and innovative private technology companies. Simpplr’s modern employee intranet helps organizations focus on what matters, is easy to manage through business changes, and drives engaged alignment across the organization. The company’s technology provides a beautiful, uncluttered place where employees can stay informed. Unlike outdated intranets that lack purpose, focus, guidance, and adoption, Simpplr focuses on an engaging and personalized user experience. It offers distributed point-and-click administration, integration with today’s cloud-based enterprise applications, and AI technology that helps employees get their work done faster. Red Herring’s editors have been evaluating the world’s startups and tech companies for over two decades. That experience gives them the ability to see through the hype and pick firms that will continue on a trajectory to success. Past winners include brands such as Alibaba, Google, Kakao, Skype, Spotify, Twitter, and YouTube. Simpplr is the modern employee intranet that helps companies connect, align, and engage their entire workforce across the enterprise. Trusted by leading brands, including Workday, Splunk, DocuSign, Eurostar, and Columbia University, we help our customers achieve measurable productivity gains, increased employee engagement and retention, and accelerated business performance. Simpplr is headquartered in Redwood City, CA, with offices in the UK and India, and is backed by Norwest Venture Partners and Salesforce Ventures. Visit simpplr.com and join the conversation on Twitter @simpplr.